The time has come for Thanos, the biggest bad in the Marvel Cinematic Universe, to fully enter the scene. 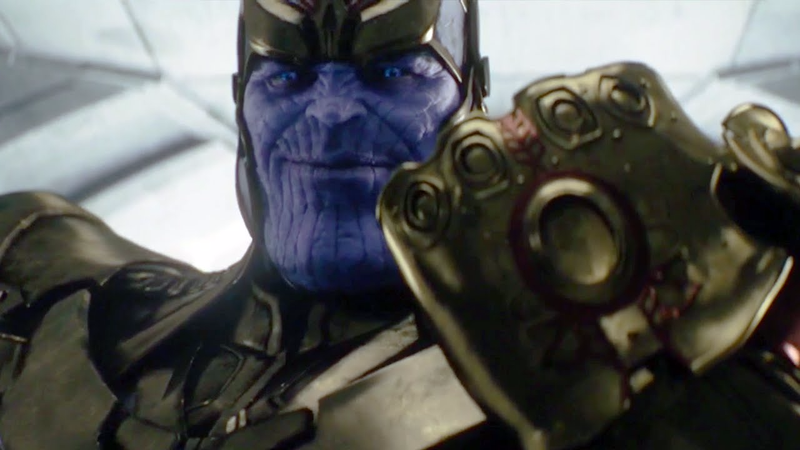 In Avengers: Infinity War, Josh Brolin’s villain will be after the Infinity Stones, and if he wants them, he’s going to have to steal them. Now that is an interesting idea. One of the significant risks of the superhero film scene is genre stagnation, and the energy and wit of a heist movie might be exactly what Avengers needs to break out of that trap. The Russo Brothers have already proven they have the chops for that sort of experimentation. Their first Marvel film was Captain America: The Winter Soldier, which brilliantly blended the tone of the MCU with a paranoiac, ‘70s-style spy thriller. Though, if Thanos is going to steal the Infinity Stones and pose a real threat to the galaxy (and he will, because that’s how drama works, but let’s pretend for a second), he’s going to have his job cut out for him. There are six Infinity Stones—ancient artifacts that, when combined together, deliver ultimate power—and Thanos doesn’t have any of them. If he wants this heist to work out, he’s going to have to get planning. First off, there’s the Space Stone, aka the Tesseract. The first Infinity Stone seen in the MCU, it was in the hands of humans on Earth for a thousand years, recovered from HYDRA by S.H.I.E.L.D in World War II. After the events of the first Avengers film, it was returned to in Asgard by Thor. What exactly comes of the stone after Thor: Ragnarok, we won’t spoil just yet, but the Infinity War trailer Marvel was showing this summer showed Loki in possession of the stone...and he was handing it to someone tall. Maybe Thanos won’t have to steal this one at all. Next up is The Aether, aka the Reality Stone. Last time the audience saw this one, was in Thor: The Dark World, where it had been brought to the vast, protected vault of the Collector (Benicio del Toro) on Knowhere. However, after Guardians of the Galaxy, that building was basically destroyed (thanks to ANOTHER Infinity Stone). So where is this stone? Maybe only the Collector knows. Then we’ve got The Power Stone, introduced in Guardians of the Galaxy. This one very nearly got into Thanos’s hands, being wielded by Ronan the Accuser before the Guardians of the Galaxy placed it in the lawful hands of the Nova Corps, whose headquarters on planet Xandar. This one is probably going to be a fight. Stealing from the toughest police force in the galaxy ain’t easy. Fourth up is The Time Stone, aka The Eye of Agamotto, which was introduced in Doctor Strange last year. After the eponymous doctor made use of the stone in the film to defeat Dormammu, it was placed in the hands of the Masters of the Mystic Arts, who have held onto it for centuries. Their hidden, ancient library on Kamar-Taj is excellent fodder for a good heist: isolated, well protected, and full of arcane secrets. Second to last: The Mind Stone, which is currently playing a uniquely important role as the power source and fabulous forehead ornament of The Vision, the sentient android Avenger played by Paul Bettany and first introduced in Age of Ultron. As it’s just hanging out there on the Vision’s head, it’s easily the easiest Infinity Stone to find, though it might also be the hardest to capture. He might be the toughest Avenger, and he’s got some excellent backup. Thanos is going to have to get creative. Or use some of the other Infinity Stones to even the odds. Finally, there’s The Soul Stone, which in the comics has the incredible power to control the souls of the living and the dead. Frankly, we have no idea where The Soul Stone is. If Ragnarok doesn’t shed any light on the issue, then hunting it down will likely be a major task for Thanos in Infinity War. One interesting possibility: Wakanda. Black Panther is the only Marvel film coming out between now and Infinity War, and it’d be a handy way to tie that movie into the big conflicts ahead. And it’d give Thanos a heckuva challenge, that’s for sure. For more tidbits on Infinity War, check out the full interview with the Russo Brothers on CNet here. Avengers: Infinity War is scheduled to hit theaters on May 4, 2018.